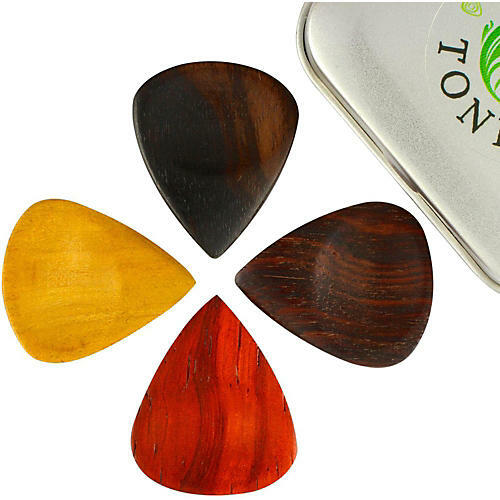 Includes one of each of Timber Tones' Groovy Tones picks: Indian Rosewood, Padauk, African Ebony and Haldu. Packaged in a metal carrying tin. Groovy Tones are designed for those people who require a sharp Jazz Tip but also need a high level of grip. They have a dimple that positions the thumb and a scoop on the other side for the first finger, which stops the plectrum from rotating. They are very comfortable to hold and lock into the perfect playing position.